James Montier - Former head of Global Strategy at Société Générale, now works for GMO. Author of 'Behavioural Investing' & 'Value Investing: Tools and Techniques for Intelligent Investment'.. 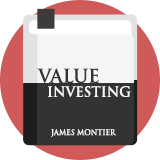 Here follow a selection of stock screening strategies that we have modelled based on the writings of or about James Montier. These strategies are not endorsed by the author.